Homemade pizza! 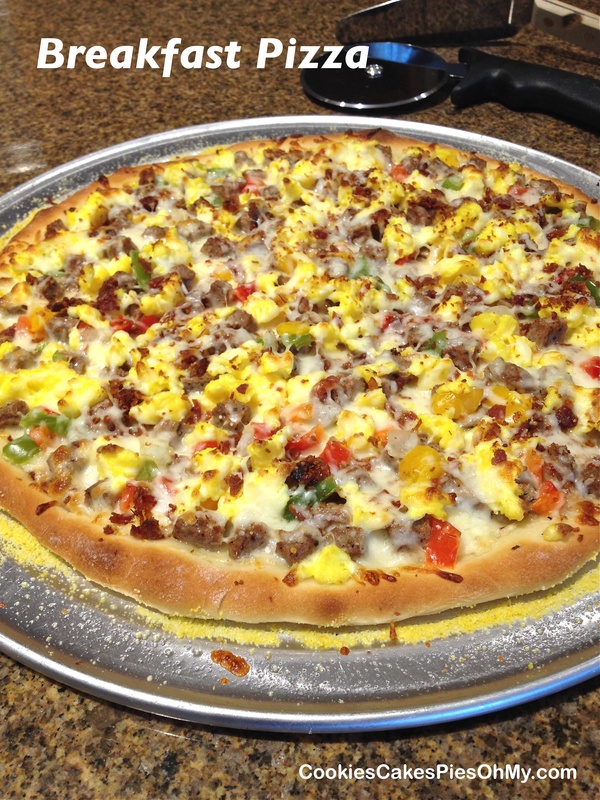 Why not mix it up with breakfast toppings and a creamy white sauce. Great for breakfast, lunch, or dinner! Sprinkle yeast over warm water, sprinkle sugar over yeast. When yeast if foamy, add olive oil, flour, and salt. knead. Let rise in warm place until doubled. Stretch or roll into a 10-12 inch circle. Place dough on pizza pan that has been prepared with cooking spray and sprinkled with cornmeal. Let rise 10-20 minutes. Preheat oven to 500°. Prebake 4-5 minutes. While crust bakes, make creamy sauce. In small saucepan melt butter, stir in flour and salt. Add milk all at once. Cook and stir over medium heat until thickens. Spread sauce over pizza crust. Sprinkle cheese, toppings, and more cheese. Bake additional 5-7 minutes until golden and bubbly. Makes 1 pizza. Whoa Kristen– I’m just up this morning headed for school and now my bowl of granola looks really boring! This looks so delicious– I know my kids would love it when they’re home to visit. –and the crust looks perfect– so browned and crunchy. fun post!